I couldn't find a good pattern or tutorial for this plane pattern. I hope I don't have to make another one. I made 2 blocks to get down the measurements of the pieces before mass producing. This part was tricky. I did a lot of unpicking. "make big enough to trim to size" seemed to be the trick until I got the system down. Originally they were too thick. I had to trim them down so do not use above picture as a measurement. I didn't want a flat nose. This angle with my ruler was just right. Fabric is folded. 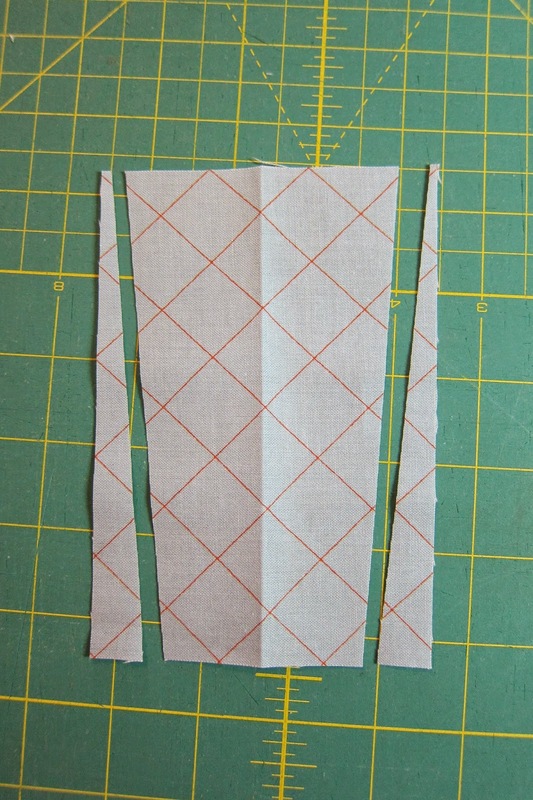 make the first one large and cut down to size until you have your measurements right. to see post on finished quilt, go here. Hello, thank you for those pictures! Very inspiring! I took the liberty of linking to this article on a French quilters forum. I hope you don't mind. If you do, let me know and I'll remove the link.